Russian language lessons. Free audio, video, books etc. for Russian language learning. Russia is a country unlike any other and its unique lanscapes and buildings bear testament to the country’s fascinating history. Many of these sites are hard to reach, but after arriving you won’t have any regrets. Baikal holds many records: not only is it the world’s oldest lake (about 25-30 million years old), it’s also the deepest and cleanest. As the world’s largest volume of freshwater Baikal holds 20 percent of global reserves. It’s also worth mentioning that 1,300 different species of wildlife call the lake home. 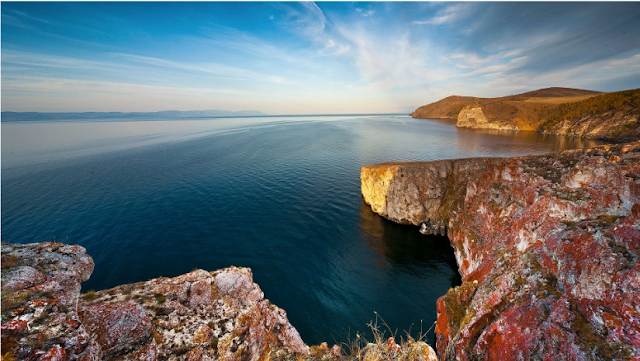 Baikal is also arguably the most beautiful lake in the world. For years it has attracted large numbers of tourists keen to experience the magnificent landscape, swim in the summer, and skate in winter. Some believe that Baikal conceals extraordinary treasures, like those hidden by the Chinese during the Mongol invasion. Legend also has it that Genghis Khan was buried somewhere nearby. To reach Baikal take a flight from Moscow to Irkutsk ($350 round trip) before catching a bus for just a few euros, and in 1.5 hours you’ll arrive at the lake. Or you can brave the journey from Moscow on the Trans-Siberian. The towering Mamayev Kurgan in Volgograd (formerly Stalingrad) is one of the most sacred places in Russia. From 1942 to1943 Soviet troops fought the Nazis here for control of the city in what was one of WWII’s fiercest battles. The USSR’s victory in Volgograd turned the tide of the war. Today, the huge visitor’s complex occupies almost 3.6 hectares - an area equal to about six football fields. 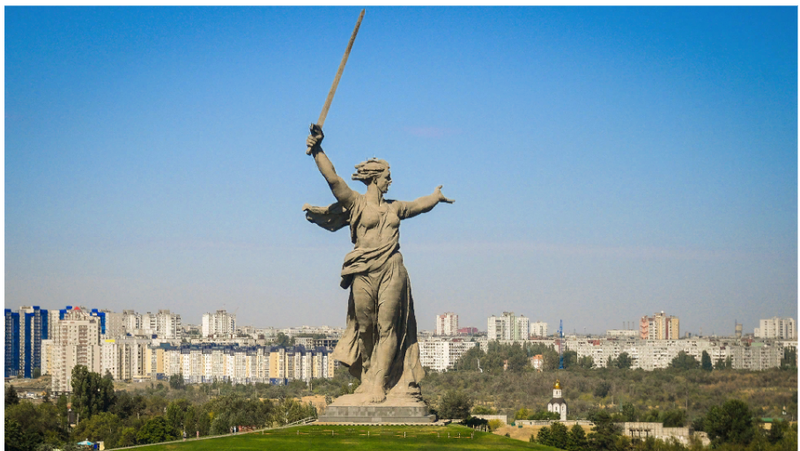 The remains of 35,000 soldiers are buried here under the watchful gaze of one of Russia’s famous monuments - the 85-meter tall “The Motherland Calls.” It’s Europe’s tallest statue, not to mention the world’s tallest statue of a woman. “A truly magnificent memorial site! I have never seen anything like it. This is something that has to be experienced. You can look at tons of photos, but it is nothing like standing there yourself,” recalled tourist Anders Rasmussen. 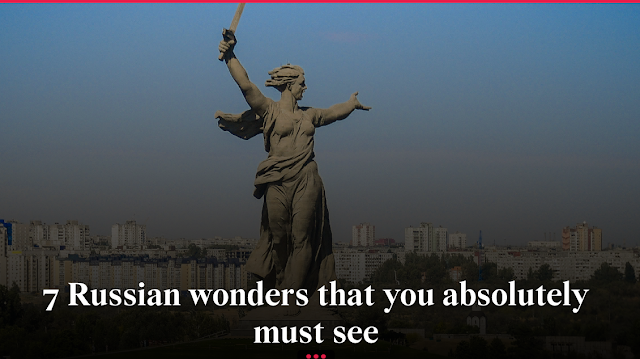 Moscow-Volgograd round-trip flights cost around $90 and take less than two hours each way. It’s not hard to find the Mamayev Kurgan - the famous monument can be seen from all over the city. Don’t be fooled by Eurasia’s largest geyser field - not only is it one of the most beautiful places in the world, it’s also one of the most dangerous. Tread carefully! Boiling hot water can erupt at any moment from beneath. The Valley of Death is also nearby, where poisonous gases ooze from the ground. This place is not for the faint hearted. 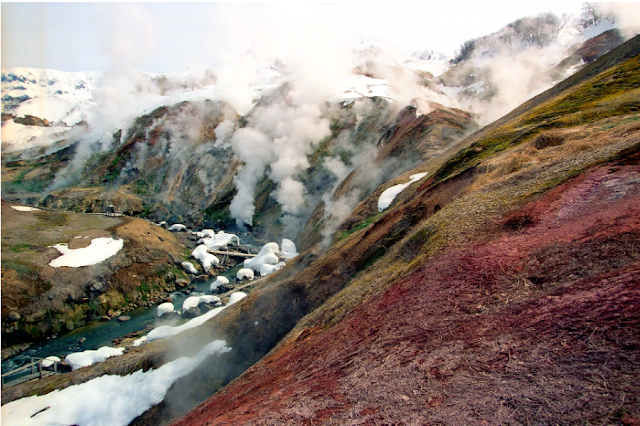 To reach the Valley of Geysers you need to fly across Russia from Moscow to Petropavlov-Kamchatsky ($400 round trip) on the Kamchatka Peninsula. The flight takes eight hours. Driving to the valley is not an option because there are no roads. You either have to hike or take a three-hour helicopter flight. Once you reach the valley, the helicopter tour (including ground trips) will set you back about $700. 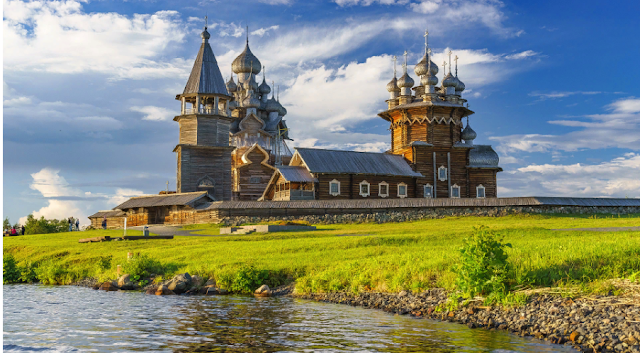 An extraordinary architectural ensemble, Kizhi’s 18th century wooden churches defy belief, they are truly unique. The main building is the Church of the Transfiguration, which boasts 102 icons. The 22 cupolas aside, it was built without using a single nail. Take a flight to Petrozavodsk ($50 roundtrip). From there boats to Kizhi Island set sail regularly and take about 30 minutes to reach the island. The trip will cost about $50. Theseare probably the most mysterious of Russia’s wonders. Millions of years ago these seven huge stone pillars were even taller but they’ve been left to the mercy of the elements and the rain, snow, wind, frost, and sun have gradually eaten away at them. 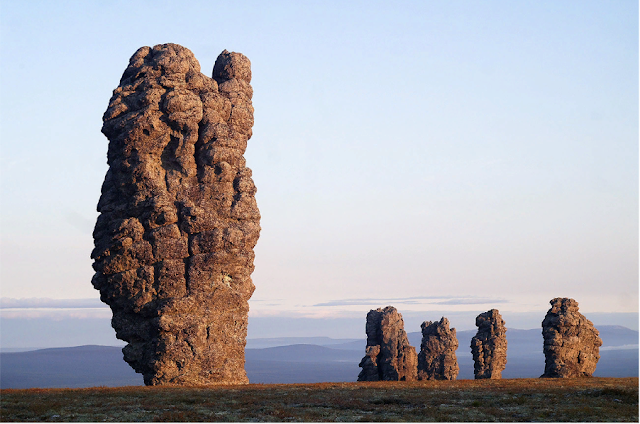 “The Ural Stonehenge,” as this place is known, served as a sacred place for local tribes for centuries. “Manpupuner” means “Mountain of idols” in the Komi language. Reaching this mysterious place is very difficult. First, take a flight to Syktyvkar from Moscow ($90 round trip), then travel 390 km by car to Troitsko-Pechorsk, then another 126 km to reach the village of Yaksha. From there travel 200 km by boat before embarking on a gruelling 40-km hike. No sweat. 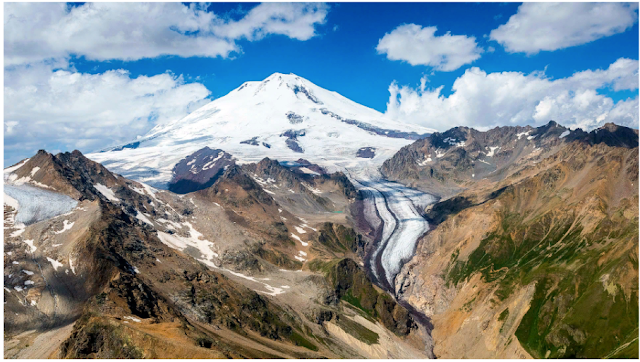 Europe’s highest mountain, Elbrus, is also a dormant volcano. According to the myth, Prometheus was chained here by Zeus as punishment for stealing fire from the gods and giving it man. Climbing Elbrus is no easy task and many try their luck each year. The mountain is now one of Russia’s main draws. Take a flight, Moscow-Mineralnye Vody ($100), then a taxi or bus for 180 km to the village of Terskol next to the mountain. The trip will cost just over $60. 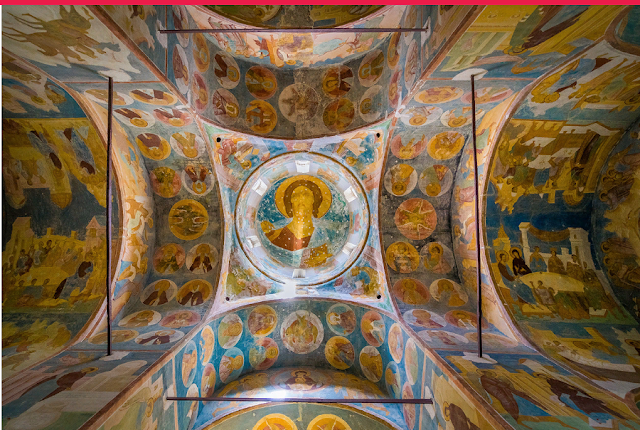 Frescoes by icon painter Dionysius are priceless examples of Russia’s cultural heritage and you’ll find them on the walls of Ferapontov Monastery. Strangely, the museum here displays an ancient statue of the Slavic pagan god Yarylo. Jump on a train for eight hours to Vologda ($30) before taking a two-hour bus ride to the monastery. Don't hesitate to contact me! How to describe your house in Russian?